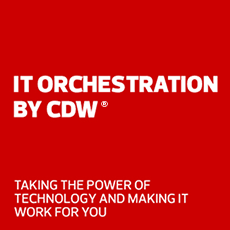 Discover Dell's latest tech, from mobile devices to desktops, and optimize them with CDW services and expertise. Dell business solutions can deliver data protection from the device to the cloud and faster, easier management through automation. Get an uncompromised end-user experience through durable, serviceable design, dependable performance and reliable support. Old technology slowing you down? Upgrade to Dell’s latest line of notebooks and tablets to experience the best of security, management, efficiency and dependability. With features like Windows 10, Intel 7th gen processors and more, you’ll be amazed at the difference you can make in your workday. Old technology slowing you down? Upgrade to Dell’s latest line of powerful business desktops and all-in-ones designed for a refined user experience that’s easy to manage. With features like Windows 10, Intel 7th gen processors and more you’ll be amazed at the difference you can make in your work day. Increase work productivity while ensuring user comfort with Dell's wide array of monitors, projectors, large format displays and accessories. Dell monitors offer a broad selection to fit your needs and budget with the industry's most advanced monitor technologies. Ideal for conference rooms seating 4-12 people, Dell conference room monitors let your colleagues see every detail of your presentation clearly. From mobile to laser, Dell projectors have what you need to make your content stand out. CDW carries a full line of Dell accessories, including device cases, keyboards, docks and more. Mix and match to create your perfect setup. Get a first look at Dell's new P Series monitors, featuring USB-C connectivity and a small footprint. Learn how Dell ProSupport helps your organization avoid downtime and provides 24/7 global support. See how the Latitude Rugged Tablet is built for reliability in even the toughest work environments.